With the recent opening of the first Mormon temple in Indiana, we will explore the heritage of the faith in the Hoosier state. During our more than seven years on the air, Hoosier History Live has explored the heritage of Methodists, Amish, Quakers, Jews and even Sikhs. Thousands of people attended ceremonies in August for the dedication in Carmel of the temple for Mormons, who are members of the Church of Jesus Christ of Latter-day Saints. Before the opening of the 34,000-square-foot building, the closest temples (the most sacred space of the Mormon faith) were in Chicago, Louisville and Columbus, Ohio. Rick Hightower, a media relations specialist who is well-known for his former stints as an anchor/reporter at WISH-TV and WRTV 6. An Indianapolis native, Rick, 56, was a member of Washington High School's Class of 1977; he recalls being the only Mormon at the school then. 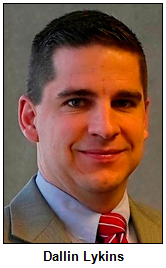 Dallin Lykins, 34, an attorney for Lewis & Kappes in Indianapolis. A native of Columbus, Ind., Dallin has served as a full-time Mormon missionary in Costa Rica and today is a bishop, which is a lay leader of a Mormon congregation. He reports that his great-grandfather, grandfather, father and brother have served in similar capacities. And Ruth Ellen Homer, a sixth-generation Mormon who has extensively researched a range of aspects of religious history. The mother of five and grandmother of nine, Ruth Ellen has been active in helping start the new temple. Like Rick and Dallin, she is a graduate of Brigham Young University. According to various news accounts, Indiana today ranks 26th among the states in Mormon population. There are about 42,000 Mormons in the state today, with more than 3,600 in the Indianapolis area, according to reports when the temple opened. 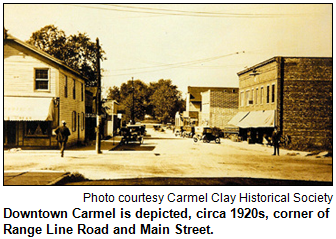 It is located at 116th Street and Spring Mill Road in Carmel. For many generations, though, Mormons across Indiana have worshipped in chapels, and congregations will continue to do so. In central Indiana, Latter-day Saints chapels can be found in Cumberland, Brownsburg, Plainfield, Fishers and other communities. According to our guest Ruth Ellen Homer, Mormon founder Joseph Smith (1805-1844) spent some time in Indiana. In 1834, he led a group of Mormon men through the state on the National Road as they traveled west. They entered the state at Richmond, passed through Indianapolis, camped near an intersection of the National Road (today's U.S. 40) near Plainfield, and they crossed the Wabash River at Clinton. 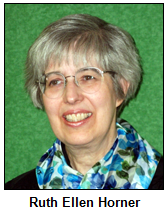 Ruth Ellen Homer, who was born in Salt Lake City, represents the Mormon church on the board of the Center for Interfaith Cooperation. She has lived in Indiana since 1972. During our show, she plans to share insights about the church's outreach programs, including humanitarian relief. Our guest Rick Hightower served as a missionary in the Philippines and today is a high priest, an office in the church's lay priesthood. In addition to his previous work for TV stations, he also was a spokesman for the former ATA Airlines. Our guest Dallin Lykins is a fluent Spanish-speaker whose specialties as an attorney include immigration law. He has ancestral ties to early Mormon families in the Columbus area. 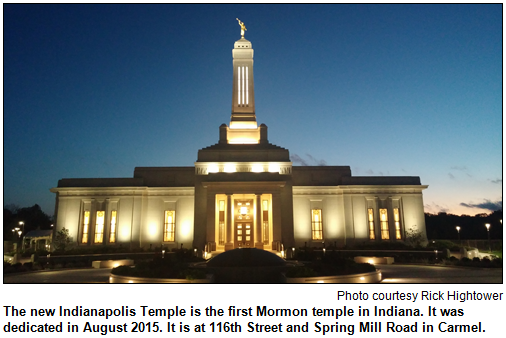 According to an article in The Indianapolis Star, when plans for the temple were announced in 2011, the number of Mormons in the state has increased by at least 50 percent since 1990. "There are about the same number of Mormons in Indiana as there are Jews," the Star article noted. "There are more Mormons here than Muslims, Buddhists and Hindus." High-profile Mormons with Indiana connections include Austin Collie, the former wide receiver for the Indianapolis Colts. Family Search, free online genealogy website operated by LDS. Uncle Dale's Readings in Early Mormon History. Guest Roadtripper Charles Braun, longtime central Indiana attorney and host of WICR's Legally Speaking radio show on Saturdays from 11 to 11:30 a.m., encourages us to visit Fort Harrison State Park on the northeast side of Indianapolis. 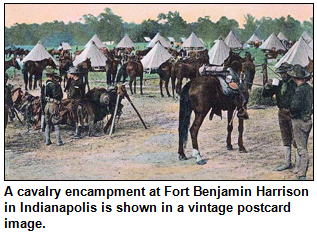 Fort Harrison was opened as a military base in 1906 and was named in honor of President Benjamin Harrison, Indiana's only U.S. president. The fort was a major military base during both World War I and World War II, and used for housing during the 1987 Pan Am Games. Fort Harrison was decommissioned as a military base in 1991 and the site was thoughtfully converted to Fort Harrison State Park. The park features a former Citizens Military Training Camp, Civilian Conservation Corps camp, and a World War II prisoner-of-war camp. There also are picnicking and walking and jogging trails with hilly terrains and spectacular views of Fall Creek. Old officers' quarters have been converted into an inn for guests, and dining facilities include the Garrison Restaurant and Café Aubrey. Adjacent is the beautiful 18-hole Fort Golf Course, designed by Pete Dye and one of the most challenging courses in the state. In addition to being the site of the state's first Mormon temple, which was dedicated in August, Carmel has deep connections to other faith traditions. The town was formed in 1837 by early setters, many of whom were members of a specific religious movement. These families settled in the rural Hamilton County area that became Carmel following a significant migration to Indiana from North Carolina of members of the faith group. Question: What is the faith tradition? Please do not call into the show until you hear Nelson pose the question on the air, and please do not try to win the prize if you have won any other prize on WICR during the last two months. The prize pack includes two tickets to the Indianapolis Scottish Highland Games on Oct. 10 in German Park in Greenwood, courtesy of Scottish Society of Indianapolis, two tickets to the Indiana State Museum, courtesy of the Indiana State Museum, and a Family 4-Pack to Conner Prairie, including the 1859 Balloon Voyage, courtesy of Conner Prairie. 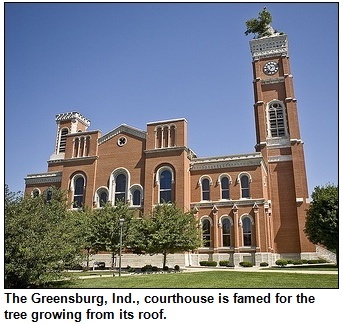 Known far and wide as "the town with the tree growing out of its courthouse," Greensburg has a trove of other distinctions and folklore. All of it will be fodder when Hoosier History Live explores the heritage of Decatur County and Greensburg during a show in our rotating series about the heritage of Indiana towns and counties. The Decatur County Courthouse was built in the 1850s. According to Magnificent 92 (IU Press, 1991), a visual history book about the state's courthouses, the first reports of a tree atop the 115-foot clock tower date to the early 1870s. No wonder Greensburg is nicknamed "Tree City." Fasten your seat belts, though, for aspects of the town's heritage that may surprise you, including its claim to fame as the birthplace in 1874 of flamboyant Carl Fisher, founder of the Indianapolis Motor Speedway. Greensburg, which is located about 45 miles southeast of Indianapolis, also was a stop on the fabled Chautauqua circuit that brought top cultural, artistic and political figures to towns across the country during the early 1900s. Chautauqua visitors to Greencastle included Helen Keller, John Phillips Sousa and William Jennings Bryan. In recent years, one of Nelson's guests, John Pratt, a widely acclaimed history teacher at Greensburg High School, has been recreating the town's Chautauqua heritage. With his students, John puts together modern, semi-annual Chautauqua events featuring national and state public figures. Some of them (like Lech Walesa of Poland) have participated by Skype, while others have come to Greensburg. His next Chautauqua will be Nov. 5. 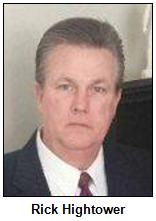 Nelson's guests also will include William Smith, an attorney and former Decatur County prosecutor who has researched the county's Underground Railroad heritage. He's a board member of the Indiana Freedom Trails Association. During the Civil War, Greensburg resident Elizabeth Finnern accomplished a distinction as unusual as a courthouse tree. Determined to fight for the Union cause alongside her husband, she cross-dressed as a soldier. Mrs. Finnern served in the military for about one year until her secret was discovered. Even after that, she remained with her husband's unit as a nurse. Our guests plan to share details. DNR, Underground Railroad History in Decatur County. Hoosier History Live show audio about Carl Fisher, Greensburg native, with guest Glory-June Greiff. Decatur County Brick Houses, then/now - by Connie Zeigler. © 2015 Hoosier History Live! All rights reserved.